Resident Evil 7 was that early January release that had everything going against it. A short window between reveal and release coupled with a drastic shift in gameplay and camera perspective lead many to wonder what Capcom was doing with the franchise, especially after the tepid response to Resident Evil 6. But as it stands, the swampy, disgusting horror is still one of this year’s best games, and it’s wrapping up some of its content before the end of the year beckons. Resident Evil 7: Gold Edition is a new all-encompassing package that will include the base game and its season pass contents, and its heading to retail on December 12th. 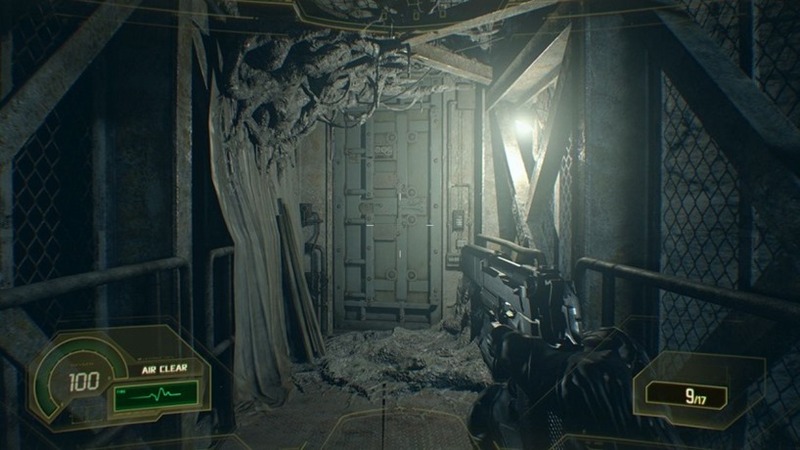 The day will be significant for all Resident Evil 7 fans though, as it will mark the launch of the last two pieces of DLC Capcom has planned for the game too. End of Zoe, the story behind what happens to the central character, will wrap up Season Pass content, joining the previous two Banned Footage Volumes DLC. All of this will be included in the Gold Edition, as well as separately. In addition to that (and in a curious move for Capcom), a fourth DLC expansion is also releasing on the same day, and will be free for all owners of Resident Evil 7 as an apology for the delayed DLC roadmap. Chris Redfield, a series hero, is returning to the franchise in Not a Hero – a new story that takes place after the events of Resident Evil 7. Chris and New Umbrella are called in to try to contain the new outbreak (shocker), and it looks like the short episode will be far more action focused than the core of this sequel. It’s a healthy dose of content for any Resident Evil 7 fans, and a comprehensive package for you to catch up on if you somehow missed out on it earlier this year.